DOGGIE'S DOING A COMEDY TURN! 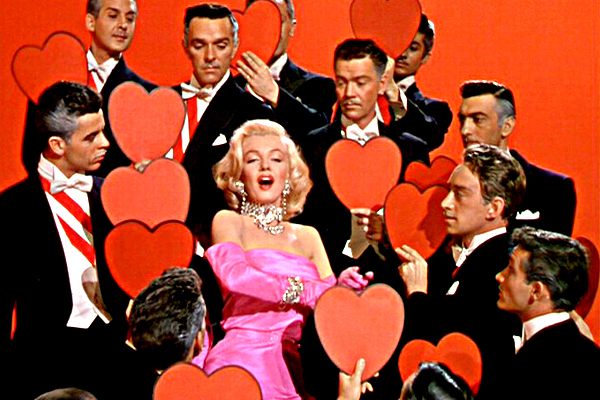 : SOME DENISE ROBERTSON ADVICE KICKS OFF MARILYN MONROE CUDDLES IN EMMERDALE FORM! SOME DENISE ROBERTSON ADVICE KICKS OFF MARILYN MONROE CUDDLES IN EMMERDALE FORM! Mama J is on holiday this week recovering from stalking white van men with her spy gear of her bright yellow Mini Primrose (very inconspicuous), Oakley sunglasses (it snowed here yesterday) and a baguette sandwich along with a packet of Monster Munch (food is fuel for the body and the mind in stalking terms). Her stalking was in the name of finding the van with all her years of Valentine’s cards! Yeah right! I had you going there. My Mama J was at work yesterday, merrily may I add serving her customers flowers, cards and chocolates with her cynical colleague. They lamented how much people spent for this one love filled day, when actually they should be kind to their other halves all year round. 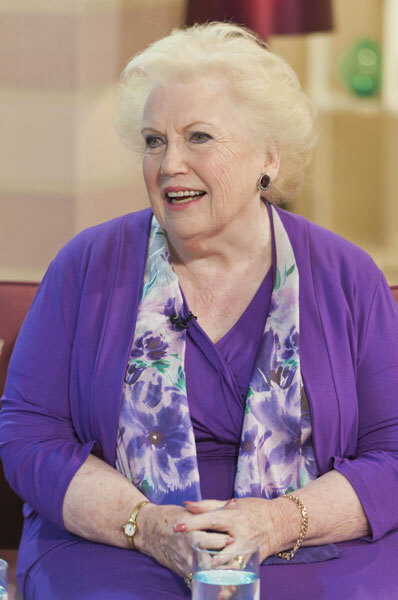 So people I’m going to give you some excellent advice now and sound like the very inspired and wonderful This Morning’s resident Agony Aunt Denise Robertson. If you are going to give a gift, give the gift of hugs, kisses and love. Failing that the odd diamond usually does the trick! As Marilyn Monroe sang they really are a girl’s best friend. Okay so I maybe need to watch delightful Denise’s phone in’s on This Morning more closely in future as I lost it a little along the way there! As Mama J is off this week Marble and I are hoping for lots of cuddles. My cuddles will no doubt be on the sofa and extremely often if you please Mummy. Marble’s will be as and when he feels like it as he’s very discerning about the timing of his hugs. They can’t interrupt his vacant looks into space or his afternoon naps. He seems to like his snuggles at about 6.50am and then mid afternoon after the families brew and biscuits session. Any other time is sacrilegiously his. Mama J, Granny and Grandpa had come up with a covert operation to make me stay in Mama J’s bedroom all night instead of wandering around the landing and bouncing at the side of my grandparents bed ready to be lifted on until the birds are tweeting their dawn chorus. Ah what a wonderful habit to have gotten into. They had decided that tomorrow night either Granny or Grandpa would lift me up and take me back to Mama J’s room. Grandpa however is soft and after a few licks on his face and waving of my paw in a loving way in his direction, I managed to secure my midnight bedroom activities forever more. So now when I cry at Mama J’s bedside she will do the standard opening of the door act which is a massive result for me. 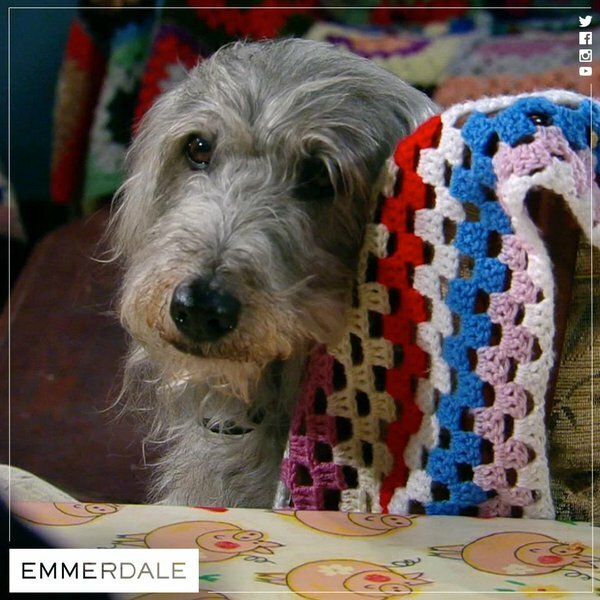 Emmerdale my favourite soap (being a Yorkshire Terrier this comes as a given) is running a competition to find a new animal star. Now I know Marble is more photogenic and has more starry qualities than I do. I’m just filling in here putting my pictures up and writing this blog so he keeps telling me to try and stop my head from getting so big it won’t fit through the door frames. However I have better gut behaviour at present so wouldn’t embarrass myself in the toilet department onset. Also I’m a quirky sort of pretty so feel I would fit in rather well as a new Dingle dog, not that Alfie doesn’t already do a sterling job. I think we would make a really cute, rough and ready double act. I would bring such a loud and at times creative energy that the Emmerdale crew would need to harness. However the rewards would I think pay in dividends of love and licks for all who worked with me. There that’s the written part of my application done now I better go film my audition tape ready to send off to the Casting Director. VOGUE. THE PAW TARTAN FASHIONED VERSION!